Happy Friday! A huge THANK YOU to everyone who recommended some sort of special allergy treatment for me yesterday. I've been taking Allegra (but not the "D"), Flonase, and Ibuprofen. I did some adjusting today and am hopeful I'm feeling much better ASAP. THANK YOU! I have a random assortment of FAVORITES for you today. Hope you enjoy! Nordstrom reached out and asked me to feature a few things for fall and I knew immediately I could share some Game Day Gear with you from my favorite store. I'm telling you they not only make ordering and returns crazy easy but gifting as well. I'm the worst about sending things via the mail. We have dear friends who just had a baby this week and thanks to Nordstrom they have a cute gift, wrapped and everything, arriving soon from the Slaughters. 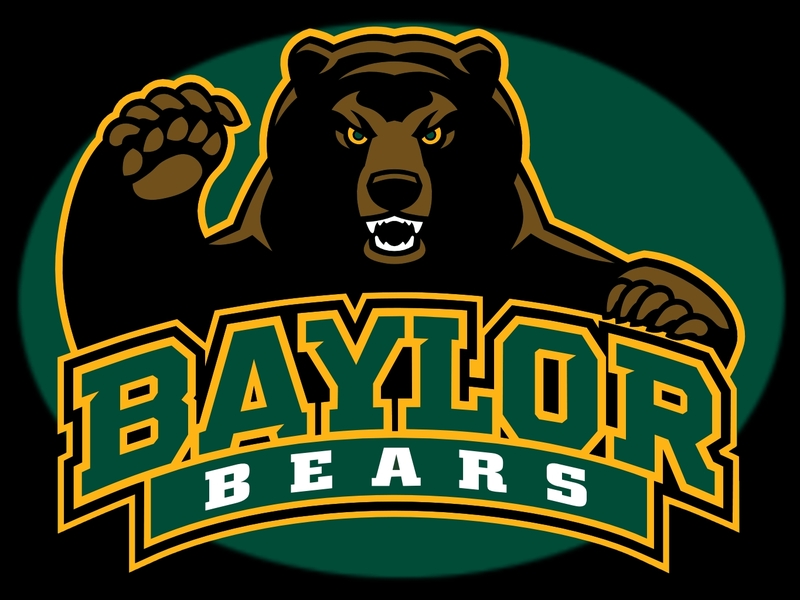 I'm starting it off pretty close to home with the Baylor Bears. These colors are near and dear to my heart. They're my hometown school colors as well...green and gold for the Zalma Bulldogs. I've featured this top (super limited sizing) before but the second I saw it I knew I had to share for a BAYLOR game day option! No matter who you're cheering for...K-State or TCU, this outfit will have you looking so CUTE! I paired the purple gingham top with this purple cardigan with tie sleeves, along with the jeans, booties, and earrings. 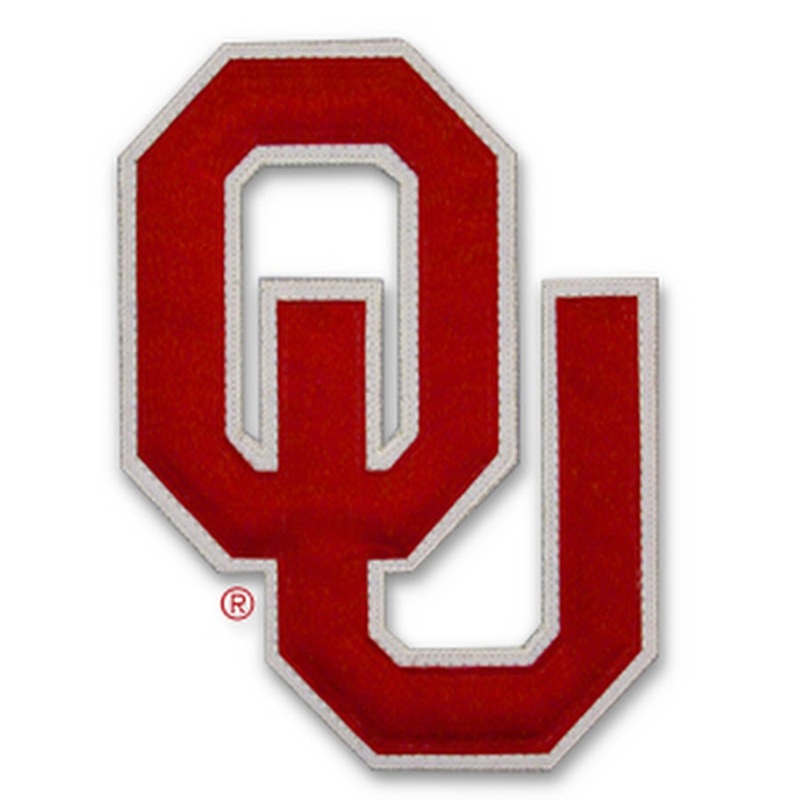 And the University of Oklahoma, I think you could make the next option work. This outfit would almost work for any school. You could wear some earrings in your team's colors. For both OU and Iowa State, I'd pair some cardinal or crimson earrings and you'd be set. You could also switch out the black jeans for a red option and that'd be darling as well. This top comes in other options as well. Thank you to Nordstrom for sponsoring this portion of Friday Favorites. We celebrated one of our FAVORITES birthdays this week with dinner at The Cheesecake Factory. Happy Birthday, M! I'd LOVE your help on this one. We love going to the Florida beaches but also like getting to vacation in other areas as well. #somanyplacessolittletime After lots of discussion, I think we're going to head back to the white sandy beaches this summer BUT typically we stay in the Destin/Sandestin area. This year we'd like to give the 30A area a try. For our beach trips, I usually find a rental on VRBO but I just thought I'd reach out and ask for any recommendations. If your family has a favorite spot in the 30A area, please share the name! It's so hard (since we've never been before) knowing exactly where we should stay. We'd love something close to the beach with a pool or close to the pool as well. Thank you in advance! One more question for you...I have a friend who LOVES documentaries. She watches them all the time on Netflix and I'm always asking her for new recommendations. Do you have a favorite documentary or two on Netflix we should check out? If so, please share! Oh my gosh, the hickey episode is the first one Matthew watched when he found out Fuller House was back on! (Not on purpose, it's just the one I was on at next.) I didn't know what to do when I walked in and saw what they were talking about! I just started trying to take his focus off the TV. I am not ready for him to ask me what a hickey is and how it got there! Not ok, Fuller House!! 30A is beautiful and so much fun!! I'm sure you'll get lots of recos, but my recommendation is to say in Seaside. It's so charming, walkable to restaurants and shops, and the kids will love running around on the town green while the bands play. It's very family friendly and central to the other parts of 30A. Other things to check out while there: The Hub for dinner one night, great for families! Rosemary Beach. The Red Bar, Stinky's Fish Camp, Bud and Allie's, and Cowgirl Kitchen. I saw the title and was shocked!! I agree. Not okay, Fuller House. Even though I didn't go to a big football school, I do love your theme of mixing fashion with football school colors. Cute idea and fashions. We stay in Rosemary Beach every year and if you stay in a house there, you have access to four pools, one of which is indoors! Tab is watching this. I should have been watching along with him! What cute tops!!! I love them all! 30a is such a cute area! You are going to love it!! I LOVE Sideline Style!!!!! I think it's my favorite thing that you do!!!!! Great picks today! You will love 30A!! We go every single year and we adore it! Rosemary Beach is the best place to stay! It is so quaint and they have some really great restaurants. It is pretty expensive, though, so if you're looking to stay somewhere cheaper you could always stay in Panama City Beach because it's right next door... like a 10 minute drive if you stay near Pier Park! We have been going to 30A for the past 7 years.....have stayed all along from the far west to the very east end. Here's my thoughts... the west - too secluded for my kids, the middle (seaside, watercolor) - too crowded, the far east - perfect for our family of 4. we stayed in rosemary/seacrest area....love the condominium resort HIGH POINTE, never had to get in a car, walking/strolling to shops and restaurants. Favorite part is very easy access to hwy 98 for going to the grocery or outlets in destin without having to cruise and stop along 30a. hope that helps and you will LOVE 30A....heading there next week....fall is our favorite!!! We are heading to Destin next year but now you've inspired me to look into 30A. I am not sure why I haven't heard of it before!! We love a good beach but we also like to explore and get away from the beach for at least part of a couple days. 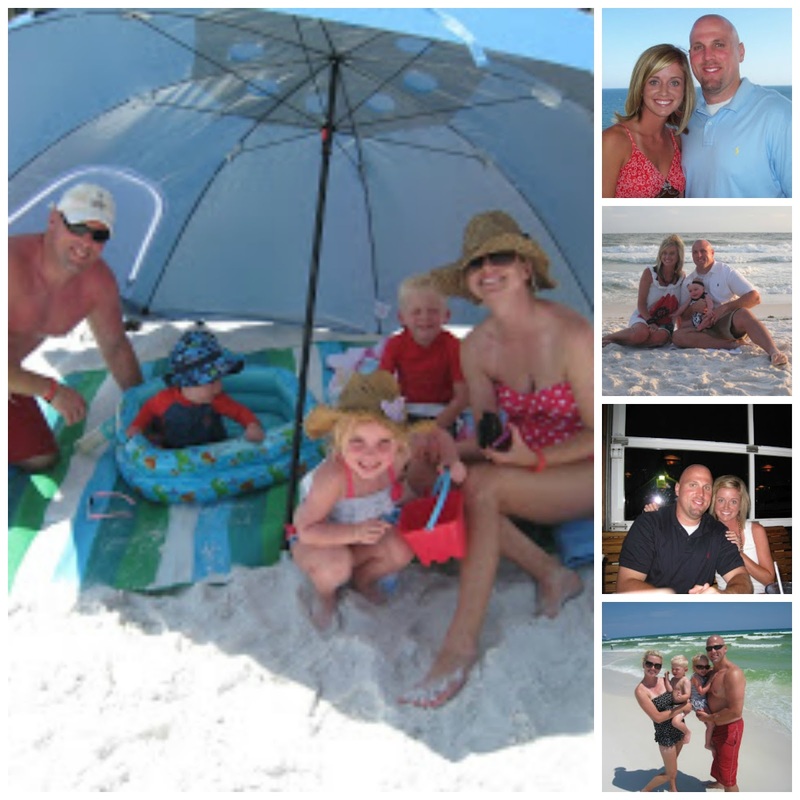 What all does your family love to do in the Destin area? You will just love the 30A area! I lived there until last year, and miss it so much. My absolute favorite place is Blue Mountain Beach. It's tiny, but so quiet, and it's got great restaurants like Nick's On The Beach, and Blue Mountain Creamery! If you're looking for more activity I'd check out either Rosemary, Seacrest, or Seaside. Rosemary is definitely the fanciest, but just stunning. Seacrest is a little more relaxed and has lots of bike rentals and little shops. Seaside is the center of it all and has everything, but also pretty crowded. Whatever you choose will be perfect! While you're in the area check out Baytowne Wharf, super fun for kids and adults alike!! You always look so cute! Love those sideline outfits!! We 'dress up' when we head to Tennessee games too, and there are memes about SEC attire! We went to SanDestin this summer and stayed at the Hilton SanDestin Resort and Spa and it was SO kid-friendly. My husband travels for business often, so we were able to use points, which was even better. We stayed in a suite with the kids' bunk beds and my boys loved it. We are planning to go back in May 2018 we loved it so much! In addition to the beach and the pools at the hotel, we loved spending time at Baytowne Wharf (Acme Oyster House was delicious)...they have a carousel, you can feed the fish, grab a drink for the adults (and walk around with it) and there's an adorable chocolate shop. Thank you, ladies! I'm gonna check out The Splash House and High Pointe!! We love the Destin area-everything is so clean, beach is beautiful, and you're in the middle of dining and lots of entertainment. Now that our kids are getting older I don't feel like we have to do as much entertainment. With sports and everything, we sincerely want a week to relax and get away. So, 30A is super appealing! I was looking at Rosemary (having a tough time finding smaller houses that sleep less than 10), Seaside, and Watercolor. If you have any house recommendations please send them my way! Thank you!! We have stayed in seagrove beach for the last 20 years....it's about a mile from Seaside, but less crowded and more affordable....the complex Enerald Hill has nice three bedroom condos right on the beach and there is a pool there also....condos vary in their updates but many of them are great! I haven't checked Seagrove! Thank you for suggesting this spot!! I'll check it out! We haven't watched any Fuller House for this reason. I watched the very first episode from the very first season and was like, "No way!!" I just got Netflix and have been obsessed with the documentaries! I would recommend "What the Health", "Vegucated", "The C Word",and "Fat, Sick, and Nearly Dead." My mom is battling cancer so improving my health is of interest to me, and these have totally opened my eyes! I can't believe you didn't feature UT for your outfits! 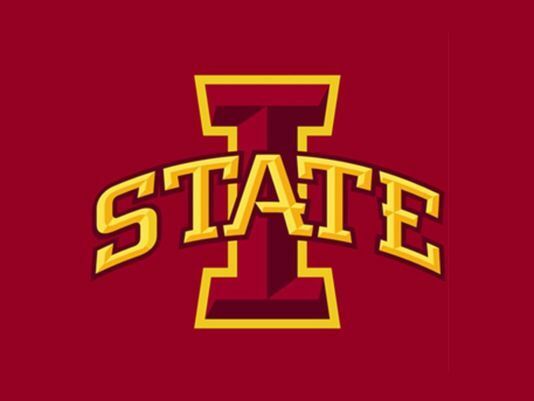 Iowa State, but not the Longhorns? whomp whomp. that makes this texas gal sad. One of my favorite places ever is Rosemary Beach! It's right next to Seasode but not as busy. They have a big movie night on the green once a week, and it's just so family oriented. Personally, I enjoyed Noah's Beach House. It's right next to a big green and close access to a pool. Love Rosemary Beach! We go to 30A every other year with 30+ members of my family. We love it and always stay at Old Florida Cottages (little neighborhood, rent thorugh vrbo) and it's perfect. Close to the beach to walk, quiet area. It's actually in the Santa Rosa Beach area, we love it. We just got back from High Pointe in Rosemary! Great pool and very family friendly. It has quick access to both Seaside and Panama City if you are wanting to take the kids for the day. Alys beach is maybe 2 minutes away and has a donut truck and a great lunch restaurant called George's! Watercolor is amazing!! It's literally right next door to seaside. We stayed at the cutest two bedroom house. There is a master and then a bunk room. It was perfect, small, and in a great location where we could bike to the beach or into seaside. I can send you the link if you would like. You can't go wrong with watercolor or seaside, the trick is just finding the right house because most of them are ginormous. It's beautiful there and so family friendly you will never want to go anywhere else. I'd be happy to email u the link to the small house we stayed at. Umm I don't have any helpful tips or recommendations but just wanted to mention that every time I see the commercial about the football ref going out to dinner with his wife it makes me think of you and your husband. I honestly don't even know what the commercial is for but every time I see it always makes me smile and makes me think of you guys! :) Have a great weekend!! I'm on the hunt for a burnt orange outfit, Texas fans! Don't worry! I haven't forgotten you!! Closure is an adoption documentary that I loved. Definitely tears and pretty heavy- but SO good! Any place on 30 A is amazing. Grayton Beach is a very laid back area. You can rent bikes for your family and bike down to Watercolor, Watersound, Seaside, etc. There are great restaurants in Grayton (Red Bar is a must) and the beach is beautiful there. There are many houses available on VRBO. One thing to consider on 30A is that most rentals aren't gulf front unless you want to spend a fortune. Well I'm a history nut so I would suggest The Vietnam War on now on KERA. Especially for those who weren't born yet or too young to have been around when this took place. Im learning more on every episode myself! You will love 30A!!! I am a little biased because I am from there, but I truly think nothing compares! Seaside and watercolor are truly picturesque and such a fun experience! The west end of 30A is great and very walkable, but can be more pricy and crowded overall. On the east end I would recommend watercolor, seaside, Grayton or seagrove (rosemary and alys are beautiful...but SO expensive). If you move to more the west end of 30A, like gulf place, Blue mountain or Dune Allen you will find a little less crowds and have a better chance of finding something affordable on the actual beach! I love a good doc-u on Netflix. Some good ones lately...Last Chance U, The Keepers, The Hunting Ground. The Hunting Ground is a tough subject matter, but so important. Give it a look. My family and I went to 30A a few years ago for the first time and LOVED it! We stayed in the Seagrove area which we loved because it is sandwiched between Seaside and Rosemary Beach. Seaside is SUPER busy all the time and between myself and my three sisters, we had a boat load of kids and didn't always want to fight the crowds. We fell in love with Rosemary Beach when we went one night for dinner. It is gorgeous!! You have to watch Last Chance U on Netflix! For kids, would say Watercolor area if you want to rent a house, they have the beach club which includes pools. Also, walking/biking distance to Seaside with a cute square, shops and eats. DEF rent bikes, or if driving take kids bikes and rent adult. Other eats...Amavida Coffee, Great Southern Cafe, Charlies Donuts in Alys Beach - it's a food truck and worth the drive to see Alys, Shrimp Shack, George's in Seaside, Cowgirl Cafe for Breakfast - Sea Grove location is "hole in the wall" and Rosemary Beach location isn't, The Pearl also for rooftop bar drinks, Seaside food trucks (grilled cheese, nachos, smoothies, etc. ), Bud and Ally's - restaurant and pizza, Surfing Deer has GREAT happy hour menu for early dinner, sea Grove Market is good lunch place. OH!!!! And, The HUB! Duh!! I've been watching Fuller House with my boys (6 & 9 years old) and at first, I wasn't sure if it was age appropriate BUT - then I realized that they're both in school (and ride a school bus with older kids) and they're going to hear everything soon enough. I'd rather them hear it and me be in the room with them so they can ask me questions, vs. getting wrong information from anywhere else. And, if you go back and watch the re-runs of the original Full House, a lot of these same topics were discussed on there. :) So they either went over our heads at the time, or we learned about them through watching the show. Just my thoughts - but I totally get where you're coming from! We just flew in today from Rosemary Beach! It's a short drive (maybe 15-20 min) from the Panama City Airport. My husband and I stay at The Pearl which is a fabulous hotel. You may want to consider one of the lovely homes that are available on VRBO. It's a park your car for the week destination! Lots of wonderful restaurants and shopping all within a short walk or bike ride. Of course, you can't beat the emerald waters of the Gulf! Single most eye-opening documentary I've watched so far is Blackfish about killer whales and Sea World. O. M. G. Someone told me to watch the first 5 minutes and if that didn't hook me, I could turn it off. Are you kidding? I had to watch the rest! I totally agree. Even the Cosby kids got into the liquor cabinet one time. Watercolor! They have a kids club and kids night out. Game changer when the kids are tagging along and you want a change of pace for the night. Book thru watercolor vacation rentals. Rent a condo at the front entrance facing the park and you will have close access to restaurants, the beach and pools!! You will love it. It's very busy in the peak of summer. We go off season and it's better!! You will fall in love with 30A...the absolute BEST!!! The past 2 summers we rented a house in Watersound, and the home was beyond gorgeous, had a pool, quick walk to the beach, and the beach club couldn't be beat for days when kids were DONE with sand! Watersound is a newer community so it's very nice and a little secluded. I would say the only bike riding you would do there with young kids is to the Hub which has movie nights OR just around the neighborhood. Anywhere else was too far of a bike ride for my girls. This past summer we stayed in Rosemary. You can't beat the location. Quick walk to the beach and the most amazing restaurants. Never had to use our car if we didn't want to. Easy bike ride to anywhere you would want to go. However do NOT stay at The Flying Dutchman...WORST HOUSE EVER!!! Had a great pool and super close to beach, but the home was awful. Looking at it online you wouldn't think it was bad but TRUST ME!!! It was beyond awful and kind of ruined part of the trip. Let's just say we demanded the cleaning crew to come the morning after we got there so we could WATCH them change the bedding (we were all certain it hadn't been changed!) and it took them hours to scrub all the mold out of the bathrooms. I can't even make this stuff up...disgusting, and the home owners weren't helpful at all. Someone I knew stayed there a few years prior and did not have the same experience so I'm not sure what happened. Anyways....Rosemary and Watersound locations are amazing!!! 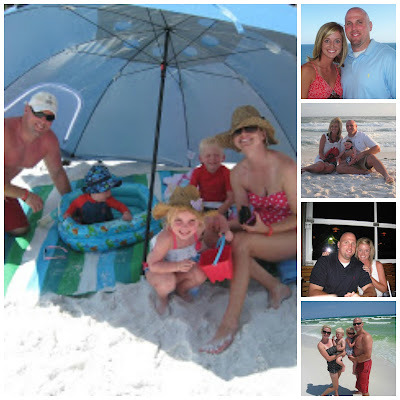 My family and I love Seaside and the Santa Rosa Beach area. We've stayed in the NatureWalk at Seagrove neighborhood the last two years and really like the look and feel of the neighborhood. It's located about a mile from the beach, but most houses come with bikes and golf carts so the trip to the beach is pretty easy. Plus there are nature trails, two pools and a playground. You should give it look and see if that's something your family would like. I'd be happy to answer any questions about the houses we've stayed in but all are fairly new and clean. You always have the cutest clothes! And I wanted to like Fuller House, but just couldn't get into it. Definitely would have preferred it more family friendly as well. The Keepers on Netflix is so good! Check out Blue Mountain Beach, a little more affordable than Seaside but only a 10 min drive. If you stay in the area Blue Mountain Creamery is a must (we were walking distance). We had a great house with a pool and were walking distance to the beach but we also rented a street legal golf cart to tote the stuff back and forth. We never drove over 5 miles to dinner the whole week so many great places. Don't forget to order your groceries for pick up before you leave and eating at Red Bar on Grayton Beach is must! Love your game day outfits! 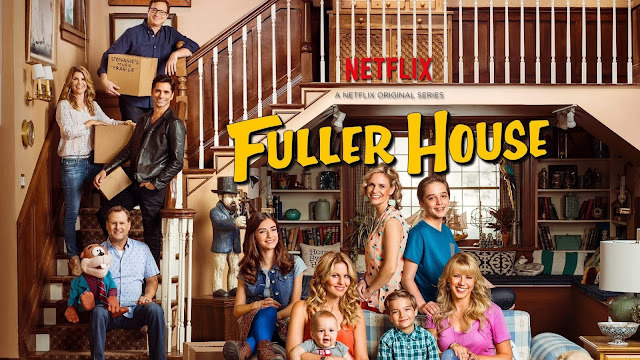 I agree about Fuller House not being as family friendly as they were before. Also, I was totally bummed about this season stopping at Episode 9... I mean, HOW RUDE?! It was just starting to get good! Happy Friday!!! The absolute best documentary/reality series on Netflix right now is "Last Chance U." It has 2 seasons of about 6 episodes each. Awesome for anyone that loves football! I'm from Panama City Beach (30 minutes East of Seaside) so I don't have recommendations on places to stay, but I do have restaurant recs! You absolutely MUST go to The Red Bar. They don't take reservations, and it's cash only, but boy is it worth it! They only have about 5 menu options, but each one is as good as the next. Definitely give it a try! Also, right in Seaside is Bud & Alley's. It is incredible seafood and a beautiful view of the water! Hi! I am from Alabama and have been going to 30a my whole life. Seaside is going to be the best and is fun but it has also become very touristy and a lot of teenagers run around there at night. Watercolor is a short distance from Seaside and is nicer and quieter but also more expensive. Alys Beach and Rosemary are also beautiful but also quieter and about a 10-15 minute drive from Seaside. If you don’t stay in Alys Beach or Watercolor, I definitely recommend going to check them out for dinner one night. They’re beautiful! Seaside is going to be more fun than the others as they play movies for kids at night and do all of that fun stuff. Much you want to spend and they will email you choices within the hour. The condos above the square are Still a very quick walk to all the beach, all the pools,Lawns, restaraunts etc. we live in Gulf breeze down the road and people ask all the time why we go to the beach living at the beach and well...30A and Rosemary are just magical! can't wait for you to experience it!! Loved seeing your game day clothes that are not all team branded! Even more fun? Spying Britt in the background playing :D! We travel to 30A every summer for about the past 20 years. Our favorite places are Old Florida Beach and Gulf Trace. Of course we always visit Seaside and Rosemary but we love staying someplace a little quieter. Hope this helps! We just went to 30A for the first time and LOVED it. It will definitely be a yearly family tradition from now one. We stayed in the St. Joe's Resorts rentals in Watersound right next to The Hub and it was perfect. The condo was nicely furnished and clean with 3 bedrooms and an awesome beach view and convenient beach access. We also had access to pools and the club house which was nice. I think next time we might try somewhere in Seaside/Watercolor just to be closer to all action. Rosemary Beach would also be fun. It's hard to go wrong I think! I can't wait to see what you end up choosing! I'm already trying to plan our trip back! Hi Erika! We live in Panama City and take lots of little trips over to 30A. I think you may find better luck with a smaller place at Seacrest. It is a stones throw from Rosemary and Alys Beach and very cute as well. So you would still have access to all the Rosemary shops and restaurants. Plus make sure to drive down to Seaside one day and look around. Also very cute. Bike rentals are also a must. Perfect way to get around the area. I am so looking forward to your post about this trip in my neck of the woods! I love Rosemary Beach! Below is a link to a condo that my friends brother owns in Rosemary. I have stayed here and it is amazing! The condo is right above a coffee shop, so the smell in the morning is wonderful to wake up to! 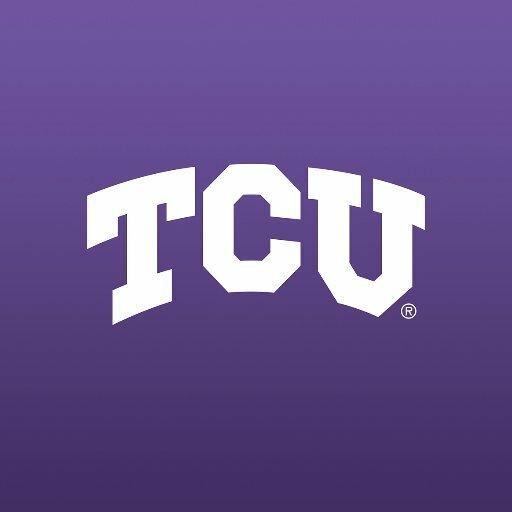 Love your style for TCU even though I'm not a fan! Also, I love the documentary Blackfish! I love documentaries. I second other posters recommendation of Last Chance U: it is awesome (there are 2 seasons out on Netflix). Even if you're not a HUGE football fan, the "human" element and the stories they tell about the players is really touching. The Keepers was also good. Hi Erika. We live in Tallahassee and I grew up going to PC Beach. My mom and dad now have a condo at Sunnyside Beach and Tennis Resort. It is on the west end of PC Beach (the family friendly end of the beach and not far from 30A). Their website is www.sunnysidefamilycondo.com. I don't know if you are interested in a condo but we are a family of 4 and love it there!! That first top is so cute on you!! You HAVE to go to Rosemary Beach! It is the quaintest, most family friendly little beach town! I remember "who's the boss" having a hickey episode when I was young. I think we forget our family friendly 80's shows had all those topics. But I'd stil recommend Naples. Oh my, North Naples!!!! The best place for wonderful beaches and great rentals with a pool by the water. And THE BEST restaurants. And did I mention GREAT shopping?! Naples, the best for a family vacay. Oh and bike riding. The best place for bike riding with the kids. Love that place. We love the 30a area! Check out the Adagio at Blue Mountain Beach. My kids love the pool! We have also stayed at the Villas of Santa Rosa. It's across the street from cute little shops and a few restaurants. My kids love Pizza By the Sea! Some great places to eat are Local Catch, Hurricanes, La Playa and The Perfect Pig. We always drive to Seaside one night for shopping and dinner. It is very crowded!! You will love 30a! It depends on when you go for Seaside. I like to go early May or June because after Memorial Day when kids are out it can get crowded on the beach. Two houses that have 4-5 bedrooms that I have stayed in and loved at Seaside: Cherry on Top (find it on VRBO) and This Side of Paradise (rent through Cottage Rental Agency). You will have just a short walk to the pool and beach, but you can rent bikes plus it's such a fun, quaint town. It's one of my favorite places. Another place off 30A to checkout is Watersound. You will absolutely love 30A...it's one of my favorite places! As far as documentaries, my favorite at the moment is What the Health--so eye opening that my husband and I are going vegetarian October 1! Alys Beach or Rosemary...you will LOVE it! Be honest- did you have a hard time finding the right color purple? I'm always on the hunt for more 'TCU purple' clothes and it is so hard!! Hey Erika, I've never commented before! I grew up with Shay in Irving, we were in youth group and on drill team together in high school and our parents still go to church together! I started following you through her blog. I had no idea you were a Baylor Bear! When did you graduate? I was class of 2002. Just wanted to throw out Rosemary Beach on 30A. We took our kids there last summer and we fell.in.love. It has a darling little town square, bikes to rent, playgrounds and swimming pools everywhere in the little "neighborhoods" and we loved that it wasn't super huge and crowded like Seaside. We are going back this coming Aug. 2018, can't wait!! 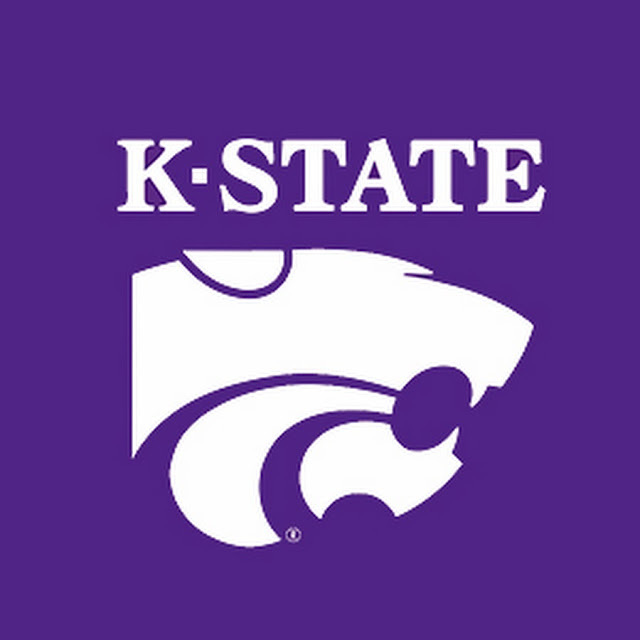 Can't wait to see what you style for University of Kansas! ROCKCHALK! I grew up going to Destin/Sandestin every year, and now we go to Seaside. We stay at Watercolor and love it. Clean, family friendly and walking distance to all shops/restaurants. Rosemary beach!!!! We absolutely LOVE it! My whole family goes for a week in the summer! We have 8 adults and 4 kids! It’s like a community and they have 4 pools that you can only access if you are staying in Rosemary along with a private beach for Rosemary! They have lots of kids activities going on during the summer (movies on the lawn, etc.) It’s our favorite hands down! We love 30A and have been staying in Watercolor for years! With kids, a house in the Camp District would be perfect! It's a short walk to the camp pool and has lots of open green space to kick the soccer ball, throw the football, etc. Very family friendly with multiple pools to choose from. The beach, and beach club pool, are a short bike ride from anywhere within Watercolor but there is usually a pool within close distance of whichever "district" you choose to stay. Western Lake is also located within Watercolor, where you can canoe, kayak, etc. You can book through VRBO, but I would also suggest booking through Watercolor directly (there are a few more perks). We love Watercolor! Check out Inlet Beach. It's just east of Rosemary and has more affordable options. Seaside!! Such a fun family vacation tradition. Rosemary and Watercolor are also great! WAIT.ONE.MINUTE I have been reading your blog for quite some time now....and this is the first I am hearing you went to Zalma.... I graduated from Advance, MO. What a small world!!!! I LOVE 30A! My family has a beach house in Watersound and we love it! There is an area in Watersound called the HUB. It has restaurants, shops, big movie screen, etc. Cute place! We have also stayed at Seacrest before and it was great! We stayed at High Pointe and really enjoyed it. You are right beside Rosemary and it such an adorable little town with cute shops and restaurants. I would not stay in Seaside....too many people. It's a great place to go eat and shop around, but too crowded to actually stay in that part. Watercolor is another great option, but still very close to Seaside. Make sure you get ice cream at the Blue Mountain Creamery and renting bikes is a must! If your looking for good restaurants in the area, let me know! Promenance at the HUB. Large pool with zero entry. Right by the HUB with food, music, movie nights. Not by the beach, but there is a public beach access on Bramble street that has a ramp, bathrooms, life guard, and showers. Promenance will run a shuttle every hour to that beach during summer season. Ahhhhhh...30A is my love! There aren't a lot of resort style places to stay at, but that's what makes it so perfect. Watercolor is pretty much the only big place, so VRBO or AirBNB, etc would be a great place to start if you want your own place. Grayton, Seaside, and Santa Rosa Beach are all beautiful areas. You must visit Bud and Alley's and the RedBar while you are in town. I hope you have the best time! - if you see a nice boat (3 big motors) b-lining toward you its him coming back from fishing and he exits off waist deep to walk to his house. -you must go to red bar, just you and Tab if you can. -Definitely go into SEAside and eat at Bud and Ally's, walk around... but i would not stay there. It is too crowded. - if you rent with 360 Blue they include bikes with your rental and are great to work with! -the Perfect Pig is scrumptious! -definitely take the kids to Donut Hole! -I could tell you so much more... we love 30A!!!! Rosemary is beautiful, but Watercolor has the most family oriented town center of the stretch! Lots of food trucks, snack shops, a good little Publix right around the corner for easy shopping. Also, you can branch out to Santa Rosa beach for a little less crowd. It's just a little ways from the main towns, though still on 30a with a pretty beach! We stayed in Carillon Beach and loved it! It's not on 30A, but super a super close drive. Also, close to Panama City Beach if you want to eat and do activities there. We stayed in a house called Three Little Birds (on VRBO) and it was an easy walk to the beach with 2 kids and a grandparent :) We can't wait to go back!